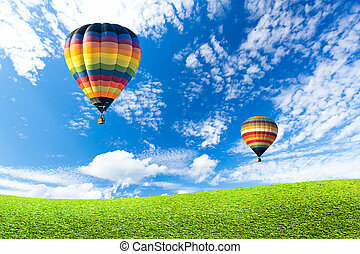 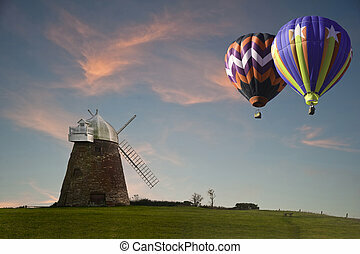 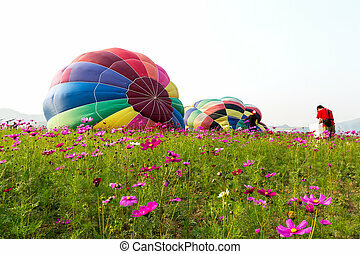 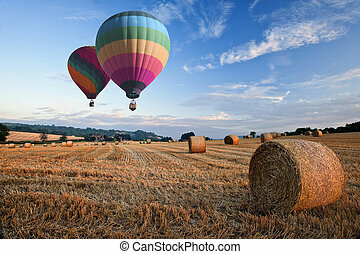 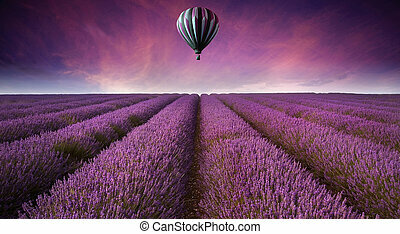 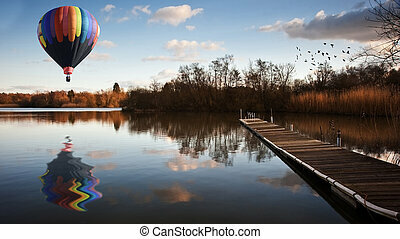 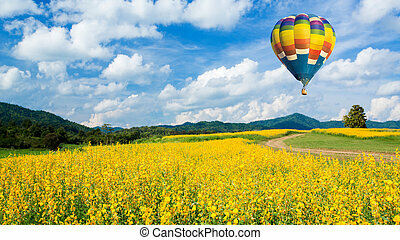 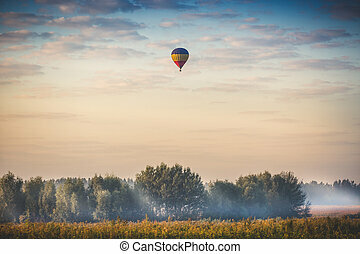 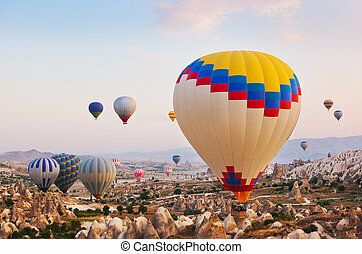 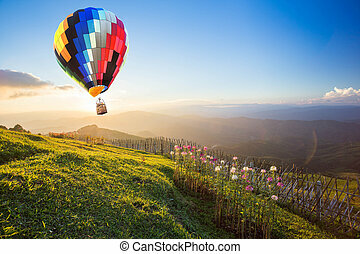 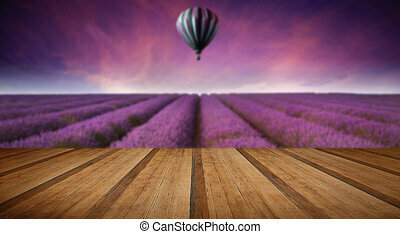 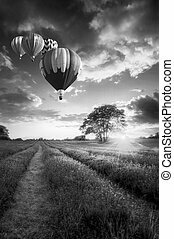 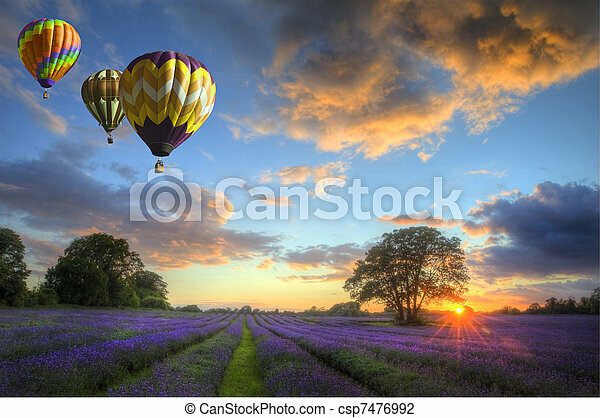 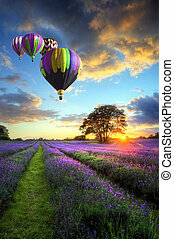 Prepare hot air balloon in flower field before fly in the sky. 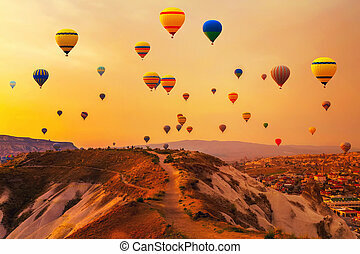 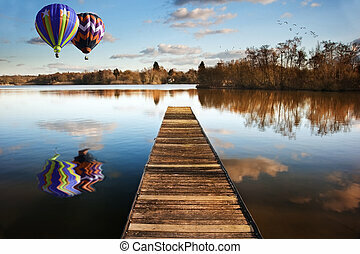 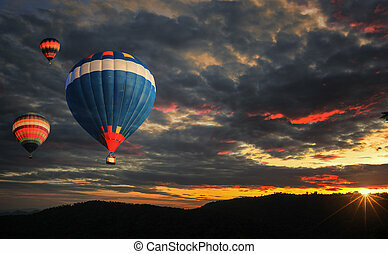 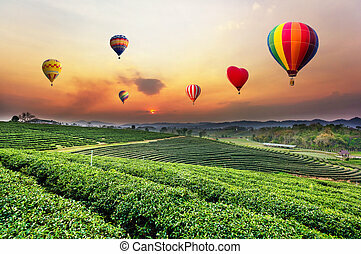 Colourful hot-air balloons flying over tea plantation landscape at sunset. 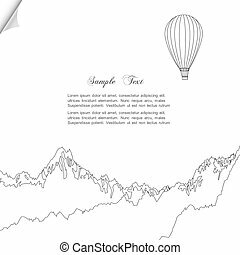 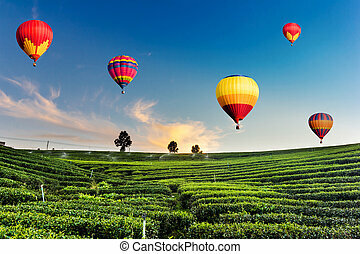 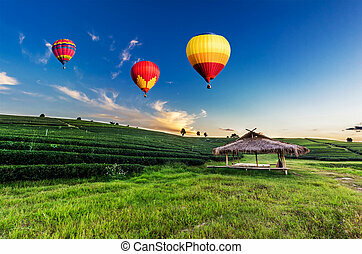 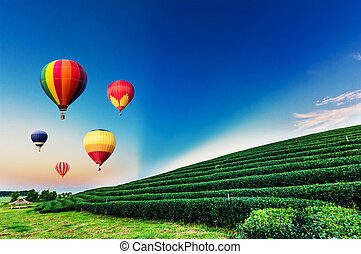 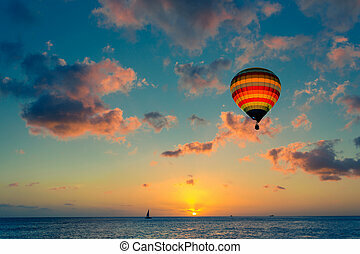 Colorful hot-air balloons flying over tea plantation landscape at sunset.